No matter how much research you do, you'll never find the answer! Conflict is the engine that moves the plot and lights up characters. But what happens when a storyteller forces conflict into places where it doesn’t make sense? That’s when you get contrived conflict, and it’s usually followed by audiences asking things like “Why are they fighting?” and “Why don’t they just talk to each other?” When a story’s conflict is contrived, it’s like having a faulty engine: the story just can’t operate at full power. Unfortunately, contrived conflict is one of the most common problems in big-name stories. Engineering conflict that fits a story’s premise can be difficult for experienced professionals as well as beginners. On the bright side, that gives us plenty of examples to learn from. So let’s look at six stories that suffer from contrived conflict and how they could be fixed. Spoiler Notice: The Last Jedi, the Librarians, Man of Steel, Voyager, Merlin, Harry Potter and the Goblet of Fire. 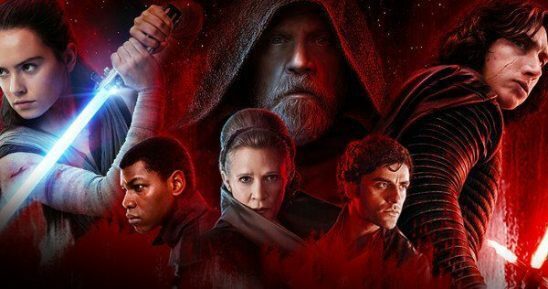 The most important conflict in this latest Star Wars film is not between the Resistance and the First Order, but between Poe Dameron and Vice Admiral Holdo. Poe’s a hotshot pilot with no respect for authority, while Holdo’s a meticulous planner who waits to get every detail right. Conflict between them was inevitable! Or at least it would have been, if they actually disagreed on anything. The conflict first gets into gear when the Resistance is on the run from the First Order fleet. The First Order can somehow track the Resistance’s ships through hyperspace, making escape impossible. Poe decides to send his best buddy Finn and new arrival Rose on a secret mission without informing Holdo* because, according to him, she’d never go for it. The problem is that he has no reason to think that. The mission is to find someone who could infiltrate the First Order’s flagship and disable their hyperspace tracker. Why wouldn’t Holdo go for that? As far as anyone knows, she has no other options. She and the Resistance lose nothing by trying this. Don’t worry, Holdo isn’t any better. For most of the film, Holdo lets everyone believe that her plan is to wait until the Resistance runs out of fuel and then watch everyone die. Morale gets so bad that they have to put guards on the escape pods, and eventually Poe leads a failed mutiny because he and several other officers are convinced Holdo is leading them to their deaths. Finally the film reveals that Holdo had a plan all along: to hide at an old Rebellion base. * Because Poe doesn’t know about her plans, he gives critical details on the Resistance to an untrustworthy criminal who leaks them to the First Order. The problem with this conflict is that it could have been solved by one conversation. Poe had no reason not to run his plan by Holdo, and Holdo had no reason not to let the rest of the Resistance know there was a plan for them not to die. You could argue that in a military outfit a commander isn’t obligated to explain their plans, but when morale gets so bad that loyal officers mutiny, it behooves the commander to say something. This type of contrivance is common in stories where the good guys need to disagree. If they disagreed over anything of substance, they might not be good guys anymore. So instead, the storyteller has them fail at basic communication. There are two ways to fix this problem. The easy way is to give Holdo and Poe a real reason not to talk together. If there had been a spy on board feeding their location to the First Order fleet, then neither of them could be sure of the other. Poe might suspect Holdo because her family has old Imperial connections, and Holdo would fear she couldn’t talk to anyone because the spy might be listening through the ship’s communication system. In fact, when I first watched the film, that’s what I thought was happening. But no, the First Order was tracking them through some magic technobabble. The more difficult solution would be for Holdo and Poe to disagree over something of substance. This would require significant revisions to the script, since there’s nothing currently present in the film for them to disagree on. It would also be harder to reconcile them if the conflict weren’t over a simple misunderstanding. Perhaps Holdo’s plan could have required abandoning a civilian target they didn’t have the resources to defend: an understandable choice but something Poe couldn’t stomach. 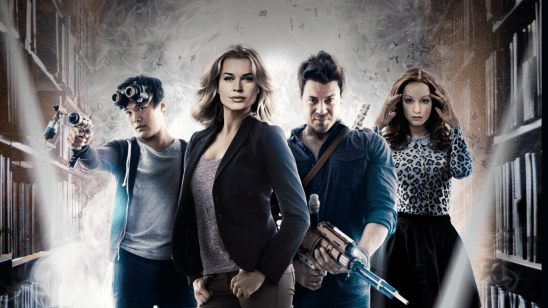 The Librarians is a show about a ragtag team, the titular Librarians, who gather up dangerous magic artifacts and store them in the Library, an extra-dimensional storage space. In the first season, their archnemesis is the Serpent Brotherhood, a group with the incredibly evil goal of bringing magic back into the world. It turns out that long ago, magic was plentiful, but these days it can only be found in a handful of surviving artifacts. You may be asking yourself why that’s an evil goal. Is magic inherently evil in this setting? Nope. In fact it’s incredibly helpful, with the power to cure cancer and see the future, among other things. That sounds like something most of us would want back in the world. It can be dangerous in the wrong hands, but so can nearly any type of technology. So how does the show justify opposing the Brotherhood? For the most part, it doesn’t. The writers seem to take it as a given that the audience will see magic as bad and just proceed from there. On the rare occasion when someone* asks why bringing back magic would be bad, one of the characters gives some half-hearted statement about how it could be used for nefarious purposes. Following that logic, we’d have scrapped all planes after the first bombing mission, ditched computers after the first malware program, and abandoned our dreams of spaceflight when Germany launched the first V2. When they’re not offering weak excuses, the writers mostly lean on the Serpent Brotherhood being cartoonishly evil, to an extreme that would make Snidely Whiplash blush. They take a cackling glee in murder, and in one episode they even want to kill Santa Claus. None of that explains why bringing magic back would be bad though, and it casts the Librarians as coldhearted gatekeepers who would rather let people suffer than take even the smallest risk. The show does eventually reveal that the Brotherhood’s plan requires a small apocalypse to happen first, but it’s too little, too late. This isn’t a simple issue of communication like in The Last Jedi. Instead, the show’s core premise is flawed. Hoarding something useful all to yourself is not hero material, but that’s what the Librarians do. Fixing this requires some major adjustments to the universe. The first option would be to make magic inherently evil, the way it is in the Cthulhu and Supernatural settings. In those stories, powerful sorcery requires human sacrifice and leaves minds shattered in its wake. Protagonists might occasionally use magic out of desperation, but it always causes more harm than good. That would handily explain why magic needs to be kept under lock and key. The problem with the evil magic approach is it would make the show far darker than the creators likely wanted, if the goofy atmosphere is anything to go by. Another option would be to make it clear from the first episode that the only way to bring magic back would be to do something really terrible, like sacrificing a city’s worth of people or throttling everyone’s download speed back to dial-up levels. That reasoning might not hold forever, as the characters inevitably learn more and more about magic, but it would at least work for the first season. In the film that kicked off DC’s cinematic universe, the evil General Zod needs Superman’s blood so he can fire up his cloning machine and create a new race of Kryptonians. For some reason, the second stage of Zod’s plan is to switch on his World Engine that will terraform Earth into a copy of Krypton. It’s not clear why Zod does this, since Kryptonians can already live on Earth, but apparently the World Engine will kill all humans as a side effect, so maybe it’s just pest control. Naturally, Superman has to stop him – cut to dramatic fight scene. Ignoring the questions around why Zod even wants to terraform Earth, the World Engine creates one of the biggest contrivances in superhero-film history. Zod has a machine that can, as far as we know, make any planet able to support Kryptonian life. Why does he pick the one planet with both a powerful military and a Superman defending it? Mars is right there, and its Rover Defense Force probably isn’t up to stopping Zod. Even if Mars isn’t a viable candidate for some reason, the film explicitly tells us that the galaxy is dotted with former Kryptonian colonies, why not pick one of them? It’s not as if Zod is on a time limit. The only remaining explanation is that Zod wants to destroy humanity out of pure spite. Not only is that an unsatisfactory motivation for a villain, but it clashes hard with Zod’s introduction. In the film’s opening, Zod is shown as a sympathetic character who overthrows his own government in order to save his species. It’s bizarre to go from there to wiping out another species just because he can. It’s very likely that the World Engine was added in order to create an action-packed climax where Superman absolutely has to fight Zod. After all, if Zod’s plan was simply to show up on Earth and ask to set up a Kryptonian colony, Superman and humanity would look like jerks for refusing him. There’s probably a story to be told about a conquest-minded Zod raising a generation of superpowered soldiers on Earth, but that would be hard to fit within the confines of a single film. So how do we manage a real conflict with this premise and still fit it into a single movie? The easiest option would be to link Zod’s doomsday device with his plan to resurrect the Kryptonian species, rather than having them as unconnected plots like they are now. Maybe Zod’s cloning machine was damaged in Krypton’s destruction, and the only way to make it work is by harvesting some necessary tissue from a bunch of humans. Using advanced Kryptonian science, Zod and his minions build a machine that will liquefy the population of Metropolis when it’s switched on. That way, the film could still have its dramatic battle over the doomsday device and not have to answer the Mars question. With a total of 172 episodes, Voyager has a wealth of contrived conflicts to choose from. Who can forget the time Harry Kim was given a permanent reprimand for having an alien lover, or the time Neelix nearly destroyed the ship with cheese? But rather than focus on any individual episode, let’s look at two recurring tropes of contrived conflict that were present throughout most of the show. The first trope is the crew’s weird habit of taking huge risks to go through hostile alien territory rather than around it. Sometimes they just risk their own destruction; other times they give bioweapons to genocidal conquerors in order to gain safe passage. The justification for this is always that it would take too long to go around – but would it? Remember that, assuming nothing gets in Voyager’s way, the trip home is estimated to take 70 years. Most of the crew will be dead by then anyway, so adding a few more years to avoid hostile species doesn’t seem unreasonable. 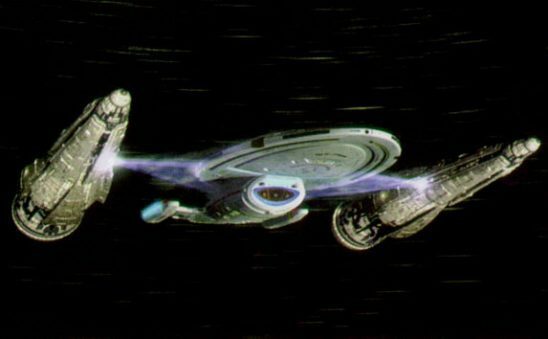 Plus, it’s pretty obvious to the audience that Voyager won’t take the long way home, not with all the wormholes, transwarp gates, and other fast-travel options scattered around the Star Trek universe. 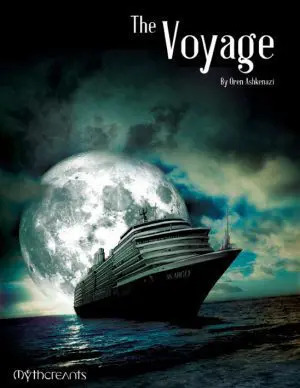 The second trope is all the times Voyager risks destruction in order to investigate some unusual phenomenon. My favorite example of this is in the episode Alter Ego, when Voyager comes across a nebula that should be exploding but isn’t, so Janeway orders them to fly inside to see why it’s not exploding. Presumably she also looks down the barrel of her phaser any time it doesn’t fire. These dangerous science trips don’t make any sense with Voyager’s premise. The crew is completely cut off from Starfleet and can’t call for help if something goes wrong. They haven’t even been assigned to study any of these phenomena; they’re going off completely of their own accord. Beyond not making sense individually, the two tropes work in opposition to each other. If Voyager is in such a hurry that they’ll commit acts of war by crossing alien borders without permission, they surely don’t have time to stop and do a scientific study, no matter how safe it is. It also seems incredibly unlikely that Janeway would so flagrantly violate another species’ sovereignty, given how important following the rules is to her in other episodes. Viewers are left to conclude that Janeway makes decisions based on what will get her ship into the most trouble. Most of Voyager’s problems can be traced back to the writers really wanting to do Next Generation stories, but with a premise that didn’t support them. In TNG, hostile aliens come to the Enterprise to start fights, and it’s the crew’s mission to explore dangerous phenomena. In this show, Voyager itself is the hostile alien, and the crew has no mandate to risk their necks poking around exploding nebula. First, Voyager needs a strong reason to violate alien territory. That could be accomplished by drawing the ship into Delta Quadrant politics, forcing the crew to pick sides in the hope of surviving and finding a way home. That would be a little darker than the creators wanted, but they chose a dark premise. Voyager should have a hope of finding a fast way home, but in order to get it, they must first deal with the aliens who control it. Finding reasons to explore dangerous phenomenon is a little harder. There’s always the trick of making the phenomenon a potential way home, but that gets old fast. Another option might be for Voyager to occasionally trade its scientific capability for supplies. The ship needs to get new dilithium from somewhere, and a nearby planet will trade some in exchange for plotting out the borders of a dangerous singularity. In this BBC show, the main conflict is Merlin trying to keep his magic a secret. Each episode has its own plot, but running through all of them is the thread that Merlin must make everyone think he’s just a clumsy stable boy. This is important, because Merlin is so powerful that staying hidden is the only reason he ever faces a real challenge. It’s hard to come up with a reason for an all-powerful wizard to hide his magic, so what’s Merlin’s excuse? It turns out that King Uther has declared that anyone with magical ability will be killed on sight, without exception. So yeah, he had a lot of children murdered. This falls apart quickly, not only because Merlin could crush Uther with his little finger but also because most of Merlin’s time is actually spent protecting Uther from assassination – all without letting Uther know that Merlin is the one who saved him. Merlin’s reasons for protecting the genocidal king are flimsy, to say the least. He says it’s because Uther’s son, Arthur, isn’t ready to be king, but it’s proved early and often that this isn’t true. So the main conflict of this show is that Merlin needs to suffer in silence because the murderer he’s helping would murder him if it was discovered he was helping. Why Merlin doesn’t just leave this awful country, I’ll never know. At the start of the show, he doesn’t even have friends or family to keep him there. Wait, it gets worse! The show eventually reveals why Uther hates magic so much, and it’s bizarre. You see, Uther once made a deal with a witch so he and his wife could have a kid. The price was that someone else had to die, which Uther was fine with. But then the person who died was Uther’s wife. From that, he decided to kill all magicians on sight. At first, I thought that was like banning all planes because your wife died in a plane crash. But then I realized it’s more like banning all planes because you sabotaged a plane and your wife happened to get on it. The other characters all talk about how Uther is a great king, but he seems like an irrational child. This fix is difficult because Merlin’s initial premise is so nonsensical. One option would be to separate the people Merlin is protecting from the reason he needs to keep his magic hidden. Then we wouldn’t be constantly asking why he doesn’t just let the assassins through. Perhaps this setting has one organization that forces all mages to join it, willingly or not, and it has a representative at Uther’s court. Merlin can’t let this representative see his magic, and he can’t risk telling anyone else because the representative has a mind-reading spell. If we want to keep Uther as the reason Merlin must stay hidden, then the king needs a better reason for banning magic. Perhaps something happened that made all active spellcasters dangerous to those around them. There could be a risk that anyone who uses magic is vulnerable to possession by evil spirits, which then go on to wreak great destruction. 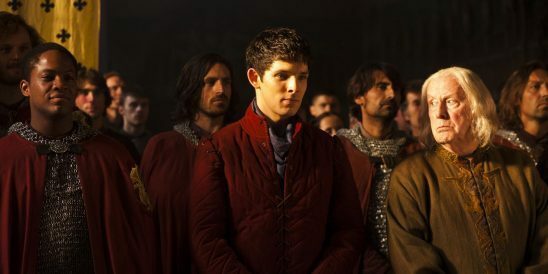 Merlin is immune for some reason, but Uther and his court aren’t likely to believe that. 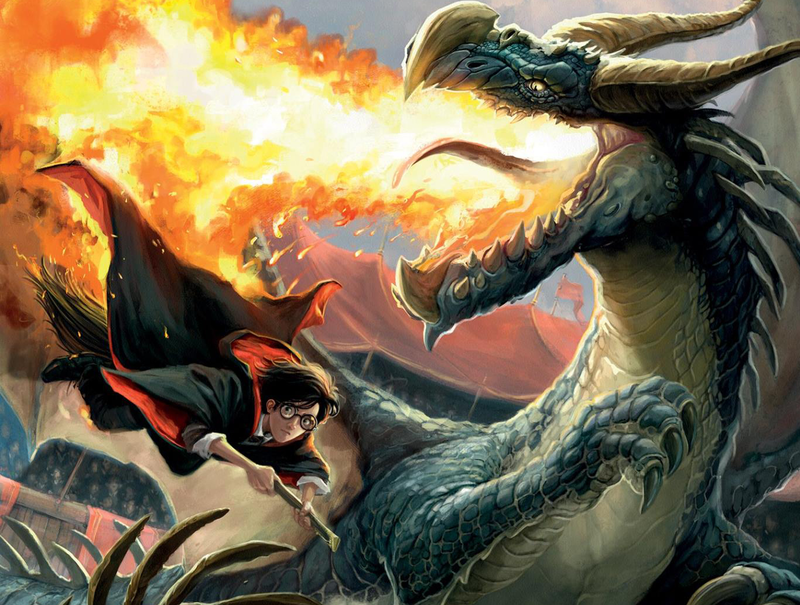 The fourth Harry Potter book’s entire plot is a contrivance, and it all focuses around the Triwizard Tournament. This is an inter-school sporting event so dangerous that it was discontinued and has only started back up that year. Because it’s so dangerous, students must be 17 or older in order to enter. Contrivance rears its head early here: the measures put in place to prevent younger students from entering are laughable. All they have to do is have someone older carry their name over an age line, and then drop it in the titular Goblet of Fire. Heck, they could probably tie their name to a rock and throw it into the Goblet or make a paper airplane. * This allows Crouch Jr., the book’s villain, to easily enter Harry’s name as part of his evil plan. Once Harry is in the tournament, the contrivance gets worse. Rowling wanted the tournament to be tense and dangerous, but that raises the question of why Harry competes in the first place. It turns out he has to. That’s the law of the tournament, and it can’t be changed, even when someone has obviously cheated to get Harry in. The book never even hints at what would happen if Harry didn’t participate or if he just got to the starting line and forfeited. It’s possible the Goblet of Fire would do something bad if he refused, but it’s hard to believe that Dumbledore couldn’t defeat an oversized mug. The third Triwizard contrivance comes with the second event. Unlike the other two events, this one has a specific solution Harry needs to research. That’s a problem when his friend Hermione basically has the superpower of knowing everything in the universe. To solve this problem, Rowling gives Harry a bad case of procrastination. Suddenly he’s not interested in figuring out the second task; he’ll do it later. This isn’t a trait Harry has ever demonstrated before or will ever demonstrate again. When he finally does get around to researching the task, the solution proves impossible to find. This is very odd, considering all he needs is a way to breathe under water. After flying, that should be one of the most popular abilities in the wizarding world. 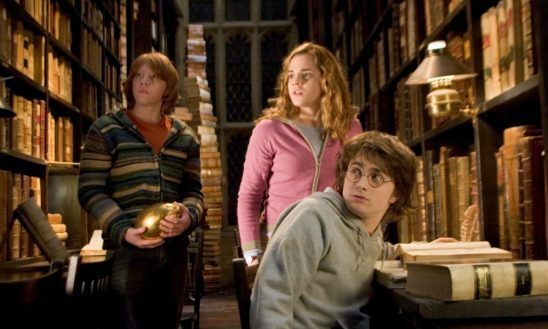 It’s difficult to believe Hermione couldn’t find it in the library. But wait there’s more! As a final entry, we have Crouch Jr.’s evil plan for kidnapping Harry and bringing him to Voldemort. You see, Crouch, disguised as a Hogwarts teacher, turns the Goblet of Fire into a portkey* so that when Harry grabs it, he’ll be sent right to the Dark Lord. To make sure Harry touches the Goblet, Crouch uses his teacher disguise to help Harry win each event, because if Harry doesn’t win the tournament, he won’t touch the Goblet. This plan has so many failure points it’s hard to know where to start. It would have been incredibly easy for Harry to lose the tournament, not to mention the plan requires Crouch to stay at Hogwarts for a year, risking discovery the whole time. He could have much more easily stunned Harry during one of their private lessons and carried him out of Hogwarts in a bag. There’s no way Harry being forced to participate in the tournament will ever make sense. Even if we give the Goblet of Fire the power to incinerate anyone who refuses, that raises the question of why they’d use such a dangerous artifact in the first place. Harry must participate willingly, and for that he needs a reason. Perhaps the Malfoys have decided to get back at Harry by using some legal loophole to cut him off from his Gringotts vault, and he finds himself in need of money. The Triwizard Tournament has a thousand-galleon prize, after all. Harry could even try some trick to enter himself, believe he failed, and then his name is called anyway because of Crouch. That would also help with the resentment Ron has toward Harry, which currently feels really out of place. The security measures around the Goblet are a much easier fix. Dumbledore could simply assign an adult wizard to guard it at all times, which would give Crouch the opportunity to slip in Harry’s name. The book already has a number of shady adults like Ludo Bagman and Professor Karkaroff, so suspicion could fall on them instead of Crouch himself. The second task is a little more difficult, but the best solution would be for Harry to only get his clue for what to research just before the task starts. Meanwhile, Crouch’s plan needs work. He must require something from the tournament that can’t be fulfilled by stunning Harry and throwing him in a bag. Perhaps he needs the Goblet as well, a powerful magic item for Voldemort’s plans. If he kidnaps Harry too early, Hogwarts will go into lockdown, and he’ll never get the Goblet. He helps Harry win the tournament, then grabs both him and the Goblet and takes them to a special portkey he’s prepared in advance. Since it’s also important for Cedric Diggory to die at the end, he could witness Crouch grabbing Harry and give chase. Contrived conflict is a big problem because it feels so easy. Storytellers know their stories need conflict, so what harm could it do that the hero and villain have no reason to fight? This error affects us all, from the neophyte working on their first flash piece to the professional with a dozen novels under their belt. It can hurt your work no matter your skill level, so always be on the lookout for it. I still don’t understand why Rose agreed to this. On a planet no one saw coming for some reason. And don’t even get me started on Wingardium Leviosa. An object that teleports you somewhere when you hold it. I always wondered what would happen if Harry refused to compete in the Triwizard Tournament as well. The idea that he can’t get out of it makes it sound worryingly like an Unbreakable Vow (as seen in Half Blood Prince). Which would make dark magic an intrinsic part of this international competition. Which surely wouldn’t be tolerated by the likes of Dumbledore, McGonagall or the high-ups in the Ministry of Magic..? Yes, it wasn’t very logical. If only one person from every school can compete, then the goblet was tricked into thinking four schools were completing (which, I think, Dumbledore said must have happened). But if someone could trick the goblet into accepting someone who was too young and from another school, it should have been easy enough for someone of Dumbledore’s power level to trick it into ‘forgetting’ the fourth school and its competitor again. Besides, since Harry never put the name in himself, the goblet probably wouldn’t have done anything to him, but to the person who submitted the name – which would have solved the problem. Another interesting point raised by Emily (or rather by Background Ravenclaw Wanda). That comic series is amazing. Yes, I love the Background Slytherin. And the other background characters, especially Kevin who’s so surprised everyone wants his plants. I just really want to know what the Goblet thought the fourth school was called. MER-B (Mars Exploration Rover – or MER-1… Opportunity remains active as of February 22, 2018, having exceeded its operating plan by 13 years, 302 days (in Earth time). Opportunity has continued to move, make scientific observations, and report back to Earth for over 55 times its designed lifespan. In defence of Man of Steel, Zod and co had obtained the World Engine from a colony that had failed and died – as had all the others. It’s a fairly obvious conclusion that successful terraforming of a planet isn’t guaranteed, and given that, that a planet already suitable for life offers much better odds. Another thing that bothered me about the Last Jedi was that Leia suddenly got knocked out for no reason. I understand that Carrie Fisher had died, but she had fully finished filming the movie before her death so it really wasn’t an excuse. It seems like they felt that they had to get her out of the picture so that Poe and Holdo could have their stupid fight, which clearly a good leader like Leia would recognize and stop. And yeah, Harry Potter and the Goblet of Fire to me always seemed like a really elaborate plan just to get Harry to Voldemort. There are so many easier ways it could have been done. I was actually thinking of watching The Librarians. 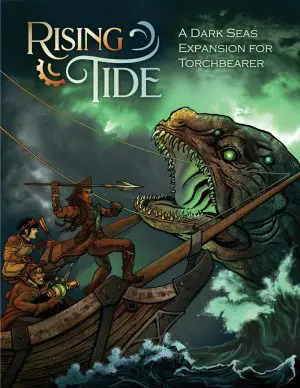 But after reading this, I also have to wonder why these good-guys are trying to gather and hide all the magic items in the world, and why the bad-guys are “bad” for wanting to bring magic back into the world. That really doesn’t make sense! The series is actually good (apart from that magic thing), but Warehouse 13 did a better job at explaining why the objects they search and hide need to be kept out of people’s hands. Also Warehouse 13 has Claudia and HG. To be fair, I actually enjoyed the Librarians, despite it’s terrible first season premise. Oh oh oh for the Merlin thing, what if he’s already possessed and they’re having Odd Couple moments in his head but he’s got it under control? Then it’s not just hide your magic from the humans, but also from these dangerous entities that would be upset that one of their own has shacked up with a human in an equal relationship. That would be awesome. I’d love to read that story. Oh, Man of Steel’s muddled excuse for a plot. Since I don’t particularly like superhero movies, I just watched the Honest Trailer, which for some reason didn’t point out what this article did about Zod’s plan. Now I know doubly in advance that I’d probably not like it. As for Harry Potter, now I finally get why Book 4 is the one I don’t tend to read much [along with Book 5, but that’s a whole other kettle of fish]. Book 3 and 6 are my favourites, despite the Ginny debacle in the latter.